Enjoy the Stampin’ Up! Main Idea Book and Catalog as well as the new Occasions and Sale-a-Bration catalog. These are filled with great ideas for you to CASE and enjoy. 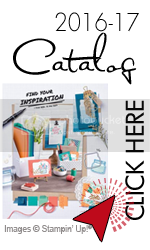 Having these catalogs on hand is perfect to spark your creativity. Each flip of the page welcomes you to new fun products and ideas. Would you like to have a hard copy of each of these catalogs? If you have placed an order with me in the last year you should receive the catalog FREE. That’s right, I will mail you the catalog free of charge. If your next order is with me, I will also send you the catalog free of choice. If you would like to own the catalogs but not order, that is okay too. Simply pay the shipping to you and they are yours. Cost for shipping is $5.50.